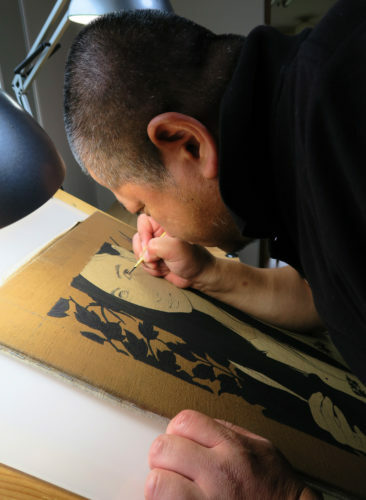 Ikenaga is the contemporary painter we have first worked with. When I met for the first time, he drawed only women with almost self-taught. Nobody knows him and he lived on the second floor of a rented house in Tokyo, which could shake with only stirring. He had already exceeded 40 years old. For nearly 20 years, he lived almost without eating or drinking in order to study his own painting skin. The works told his qualities. I found out, I thought. From 2008, we exhibited his works once or twice a year at home and abroad. After the big solo exhibition in Takashimaya and publish of his art book in 2014, his reputations is growing fast. Meanwhile, we looked for a young “beautiful women painting” artists with him. It is he who discovered Okamoto Toko and Nakahara Arisa. 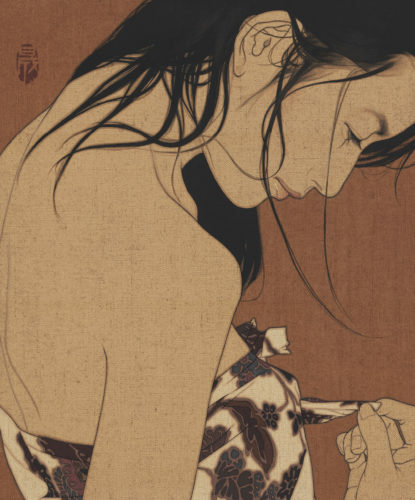 By the way, one of the characteristics of his paintings is that the women are not abstract anonymous but living onymous. The title of works always include the model’s name.